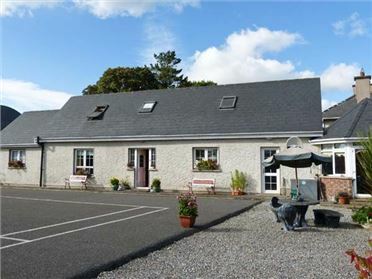 The Brambles Farm Cottage is a detached cottage situated close to the village of Farranfore in County Kerry. The cottage sleeps seven people in four bedrooms - two ground floor doubles, one with shower and basin in room, one twin and one ground floor single. There is also a ground floor bathroom with bath, shower over, basin and WC. 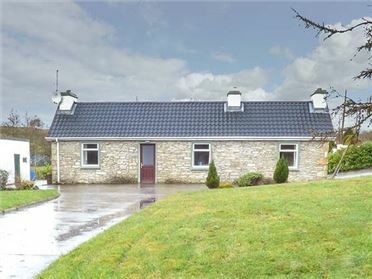 The living accommodation consists of a kitchen with dining area, an external utility and a sitting room with open fire. Outside there is a patio with furniture and BBQ, while off road parking is available for three cars. 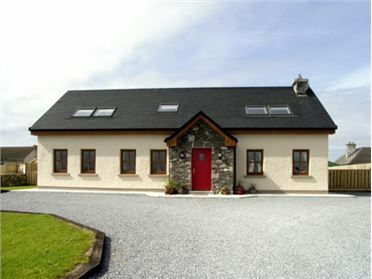 With the delights of Tralee and Killarney within easy reach, The Brambles Farm Cottage is a good base for a rural family holiday in County Kerry. Oil central heating with open fire. 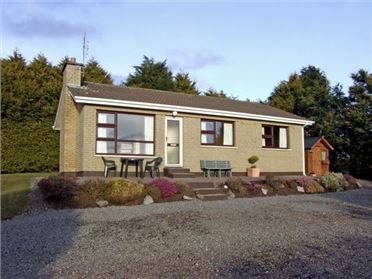 Electric oven and hob, microwave, fridge/freezer, washing machine, tumble dryer in utility, dishwasher, TV with Saorview, DVD, radio, WiFi, selection of books and games. Fuel and power charged by meter reading. Starter pack for fire inc. in rent. Bed linen and towels inc. in rent. Off road parking for 3 cars. Patio with furniture and BBQ. Two well-behaved dogs welcome. Sorry, no smoking. Shop, pub and restaurant 1.5 miles. Note: This property is on a working livestock farm, please supervise children and dogs. Note: The twin bedroom is accessed via a narrow stairway and low door so ensure care is taken.